In travel, one can rarely account for the weather. 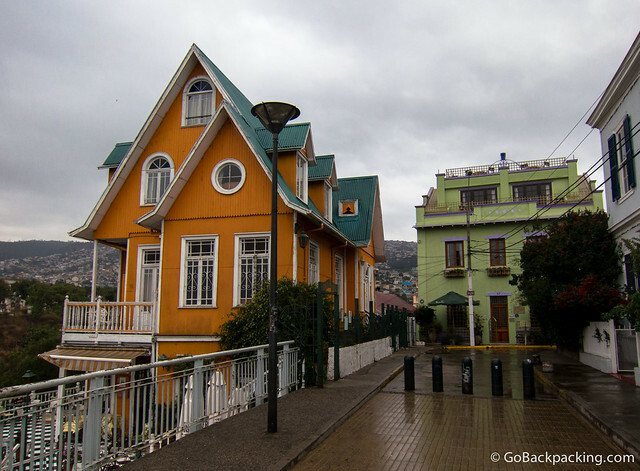 I left Santiago by bus to spend the weekend in the historic port city of Valparaiso, a UNESCO World Heritage Site. I also hoped to visit the beach in nearby Viña del Mar, but those plans were washed away with the rain, which hung over the city my entire stay. One of the many colorful buildings in the historic district. The orange house is actually a small hotel and restaurant. Despite the wet weather, the colorful buildings still had a way of brightening up the city. Perhaps that's why they paint them. I took a bed in a hostel dorm, with its creaky wooden floorboards, and old metal bed frames. I felt like I was in The Goonies, a movie set in either Oregon or Washington state. 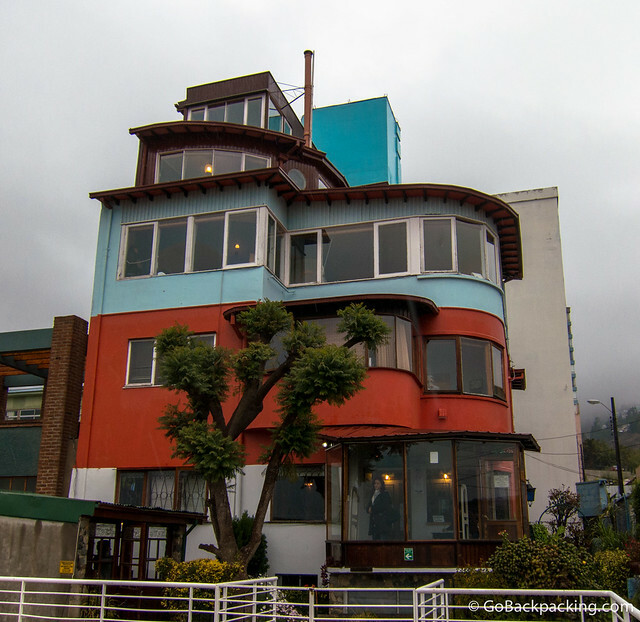 During my two-day stay, I made it a point to visit La Sebastiana, one of Pablo Neruda's three former homes turned museums. I'd taken a guided tour of his primary residence, La Chascona, during my time in Santiago, and enjoyed it. His taste in decor and artwork is interesting. No photos are allowed inside, so you'll have to visit for yourself to see what I mean. Admission to La Sebastiana is 4,000 Chilean pesos ($8), and I believe that includes the cost of an audio guide. I was unable to flag down a taxi from Neruda's house, so I began walking downhill toward the center of town, and my hostel. 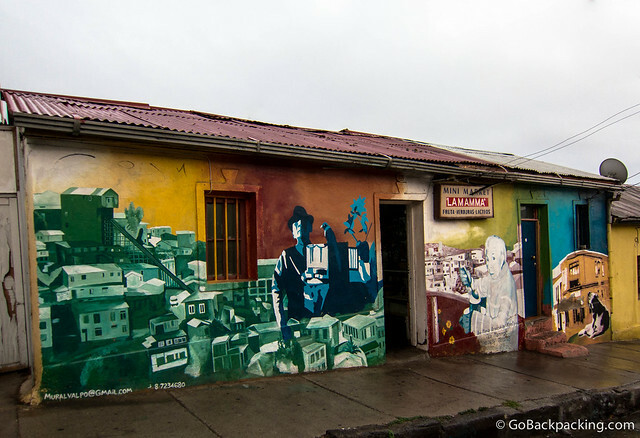 Along the way, I passed through the Bellavista neighborhood, which is artfully adorned with lots of graffiti. I imagine it'd be a lot prettier when the sun is shining. The architecture alone made the city worth a visit, and if I hadn't been on a mission to get back to Peru for my Amazon trip, I would've stayed an extra few days to wait for the weather to clear. I did, however, ensure I was eating well. I had two fantastic dinners. The first dinner was at Restaurant La Concepcion. I was seated in a small dining room, in front of a wood fire. I ordered a glass of wine and pumpkin soup to start, followed by a crabmeat casserole baked in a traditional clay bowl. Dessert was a decadent flourless cake with chocolate glaze and ice cream. The waiter then brought me a complimentary glass of a local apertif, which tasted terrible, but I tried to swallow a few sips out of politeness. The second dinner at Sabor Color was good, but not quite as amazing as the first. 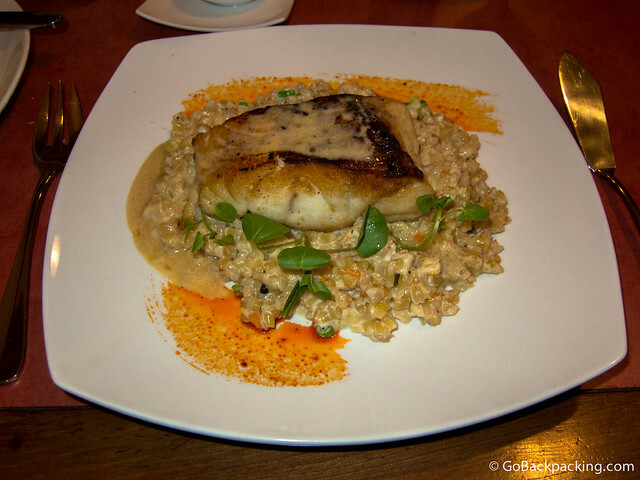 I ordered the grilled tuna with mushroom risotto, and a chocolate ice cream for dessert. 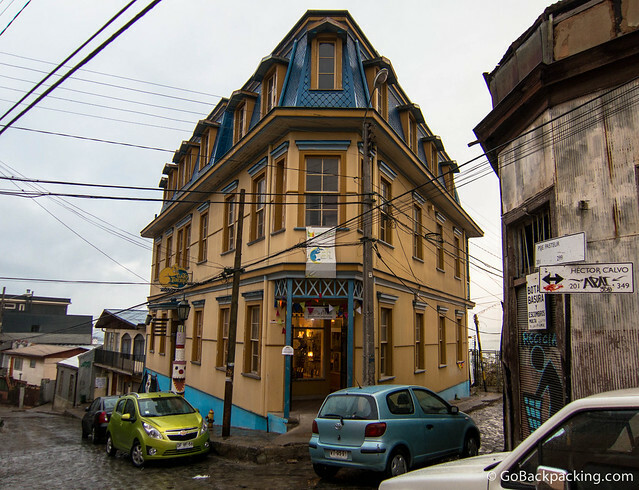 The Historic Quarter of the Seaport City of Valparaíso became a World Heritage Site in 2003. Click here for the full list of UNESCO sites Dave has visited in his travels. 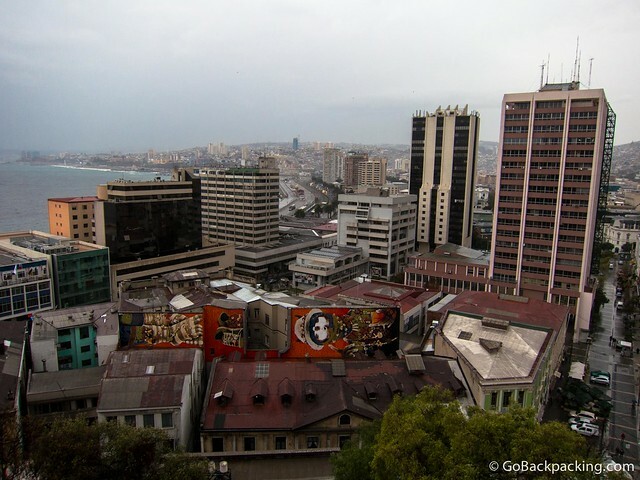 Loved Valparaiso…every time I see pictures from town I remember the day we got lost. Three girls wandering around the streets at dusk…a lovely family helped us out and we were back at our hostel having had a great tour of the city! A trip to Neruda’s home was another highlight from the visit – quite the fascinating place. He must have led such an amazing and fascinating life!